Turning the hearts of the fathers to the children spoken of in Malachi 4 has meaning beyond genealogy and family history. Each of us during our lifetime has the opportunity to influence the lives and experiences of other people as our hearts turn to those we serve. Near my desk where I write and compose my thoughts for articles and work, I have a small book by James Allen, entitled As A Man Thinketh. This is a treatise addressing the topic “what a person is in life is determined by how he chooses to think”. It was given to me by my 6th grade school teacher, Welsford H. “Gus” Clark, on the day I graduated from BYU Laboratory Elementary School. If I supply you a thought you may remember it and you may not. But if I can make you think a thought for yourself, I have indeed added to your stature. With Love, Mr. Clark, 27 May 1960. I turn to this little book often because it reminds me that I am the master of my heart and my life. This gift from my beloved teacher has in turn, led me to have an interest in finding other such writings that fill my heart and mind with uplifting thoughts that I can share in my daily walk. With such sentiments in my heart and my mind, I can face each day with its trials and tribulations, with hope, happiness, and optimism. Brother Gus Clark did more than just supply me with a thought. He taught me by example to use my imagination, to explore and to express my own thoughts. To us eleven and twelve year olds, Gus was a giant of a man. He was with us throughout each day and served as father and mother, as well as our teacher. Not only tall of stature, Gus was a person we genuinely looked up to. He wasn’t above leading us in our games and activities. I well remember following him into a dark pool of creek water to catch toads, bugs, and pollywogs for a class science project. Gus instructed us and counseled us when we had problems; he pulled teeth with his pliers, and used his yardstick to reach the disobedient. He was strict, but a sweet cheerful teacher who openly expressed his love to his students. He led out with kindness, and respected us as his kids. As I grew up over the years, Mr. Clark remained a part of my life. I saw him often, and he was always interested in me and my progress. As my youthful interests turned to art and history, he visited and took me on field trips to share his activities in studying and remodeling historic homes and buildings in various places in Utah. Even after I had matured and had a family of my own, Gus blessed my life as he was able to reach out to one of my sons, as a member of his Philippine Mission Presidency, to encourage my boy to be the best he could be. Gus Clark, without being our actual father, was an example of a father turning his heart to the children. I thank my Heavenly Father that such a man existed in my life, and I hope I am able to pass that example on to others who come into mine. Thanks for the thoughts, Gus. As this article was going to print, I learned that Mr. Clark was celebrating his 80th birthday, a date he shares with Stonewall Jackson. I gave him a call and was able to greet him on this special occasion. Gus, you are in my thoughts. Published in Meridian Magazine, Wednesday, February 1, 2012. Welsford Hone "Gus" Clark is one of six sons born to Herald R. Clark and Mabel Hone Clark, born on January 21st, 1932 in Provo, Utah. The family lived in Provo. 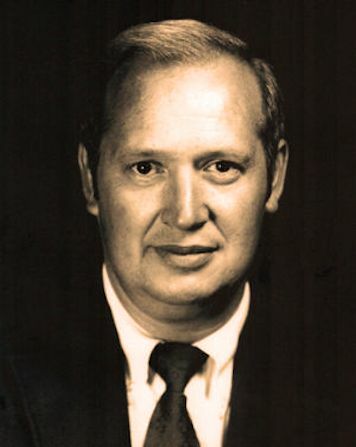 His five brothers include: Richard Hone Clark (1916-1985), Dr. Stephen Hone Clark (1919-1987), Homer Hone Clark (1921-2010), Rand Hone Clark (1925-2007), and Dr. Phillip Hone Clark. His education included: B.S. BYU 1956, and M.Ed. BYU, 1962. 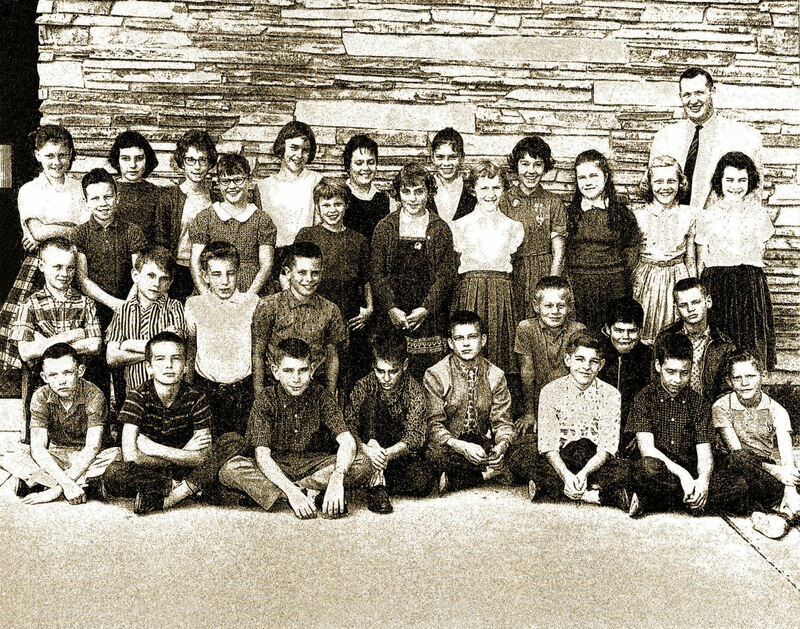 He taught 5th and 6th Grade in the BYU Laboratory Elementary School for a number of years. Gus married Delaine Anderson, and they resided in Orem, Utah. His passion for teaching children and for teaching those who taught children was unmatched. 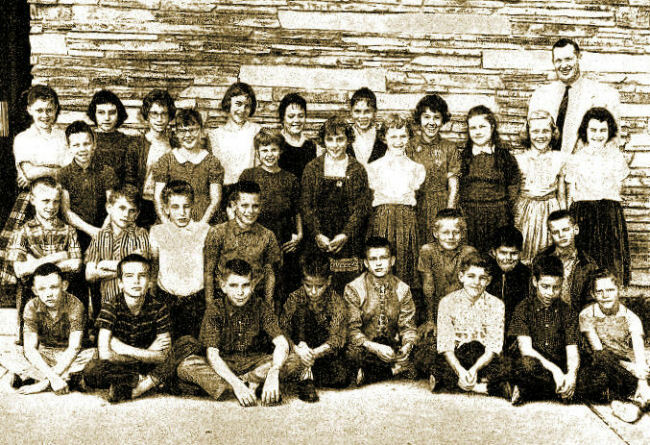 Besides teaching at the university, Gus also taught fifth and sixth grades at the Brigham Young Elementary Training School at various times during his career. He was influential in many of his students' lives outside of the normal teacher-student relationship. Many of his young students remained life-long friends. He was always willing to help them with advice and counsel with them in time of need. Gus was a professor of elementary education at Brigham Young University for 38 years, retiring in 1994. He became Professor Emeritus of Education, McKay School of Education, Brigham Young University. He was sealed to his eternal companion Delaine Anderson on August 16th, 1955 in the Salt Lake Temple of the Church of Jesus Christ of Latter-Day Saints. Together they raised four children: Chris (Kelly) Clark of Lindon, Utah; Lee (Jeana) Clark of Orem, Utah; Suzanne Clark (Walter) Kelly of Las Vegas, Nevada; and Rachel Clark (Mitch) Oviatt of Orem, Utah. Following his retirement, Gus and Delaine Clark served missions at the Missionary Training Center [MTC] in Provo, and in the Philippines, Thailand, and at Roosevelt, Utah. 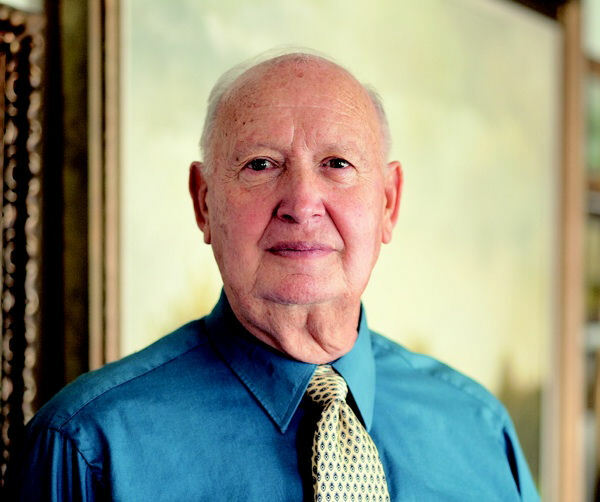 Gus was a life-long missionary exemplifying the Savior in the way he approached everyone he met. He was always seeking ways to help others grow in life. He was an influence for good in all whom he came in contact with. Gus enjoyed classic music, fine art, reading and maybe an "occasional" visit to Deseret Industries [D.I.] to collect many of his hidden treasures. He was especially loved by his grandchildren and spent many summer nights with them at his cabin near Aspen Grove or at his historical home in Moroni, Utah. Welsford Hone "Gus" Clark passed from his earthly mission on February 5th, 2013. Gus is survived by his wife of 57 years, Delaine Clark of Orem, their children Chris, Lee, Suzanne and Rachel. He is also survived by 14 grand-children and 25 great-grand-children; his Brother Philip (Ruth) Clark of Holladay, Utah. He was preceded in death by his parents and four older brothers: Richard, Stephen, Homer, and Rand Clark. Funeral services will be held Thursday, Feb 14, 2013 at 12 noon p.m. in the Cherry Hill Stake Center located at 1700 South 400 East, Orem. Friends may call Wednesday evening from 6 p.m. - 8 p.m. at Berg Mortuary, 185 East Center Street, Provo and Thursday from 10 a.m. - 11:45 a.m. prior to services. Interment, Provo City Cemetery. The Clark family suggests that you can honor Gus by purchasing a children's book and spending precious time reading it to a child. "The best teacher makes learning easy." "Learning begins with perception and develops into concepts that can lead to the understanding of the whole universe." "Math is a wonderful subject, not to be feared, and through its principles this world was probably created. In mathematics the understanding of WHY is just as important as the process of computation." "Truth and light center in God. Without the inclusion of Him, there will still be shadows in our thinking." "Half of the planning is done when a concept is stated conceptually." "The best question always elicits the best answer." "Having a sense of humor is a necessity in teaching; used wisely, it becomes an asset." "Very few people come up with an original idea or concept, but if a person does discover something he should give it away quickly so that all may benefit." "Only two things go with you into the next life--what you know and other people. Everything else here is secondary." "Teachers need to go back to the classroom occasionally." "Children get more out of a reading assignment when the teacher precedes the lesson with background information and follows it with a discussion." "Teachers must read what the child reads." "Each new horizon that is exposed to us comes to us as an individual, from within." "Knowing the books and knowing the skills gives us the power to enrich and motivate children. But knowing the child--his needs, his aspirations--empowers us to bring the learning and the child to one unity, and that is the purpose of a teacher." "Parents are the most influential teachers. Teachers who successfully involve parents in their children’s schoolwork are successful because they work at it." Welsford "Gus" Clark was my most memorable professor. I have had many teachers, having received three bachelor’s degrees, a master's degree, and a doctorate of pharmacy. Gus was my undergraduate professor of elementary education. No other professor since those long-ago days in the 1970s at BYU has measured to the stature of what Gus did. Indeed, Gus was not a PhD of academia. However, I submit he was a doctor of love and caring for his students. His example has been a guide to all his students for the 30-plus years he dedicated to BYU. He has been a friend, confidant, and counselor to all his students. There is not a day goes by that I don't recall his wonderful example as a teacher, the magic in children’s literature class, the rigors and feelings of accomplishment during student teaching, the fun trips to Gus’ historical home in Moroni. I am sure there are many thousands of students who share the same experience of having the privilege of rubbing shoulders with such a great man as Gus. I have knowledge which I am sure some students may not be aware of. Gus and his wonderful wife Delaine have financially supported both students and missionaries over the years. Where there was a need they found out, helped and by doing so have helped so many, myself included!